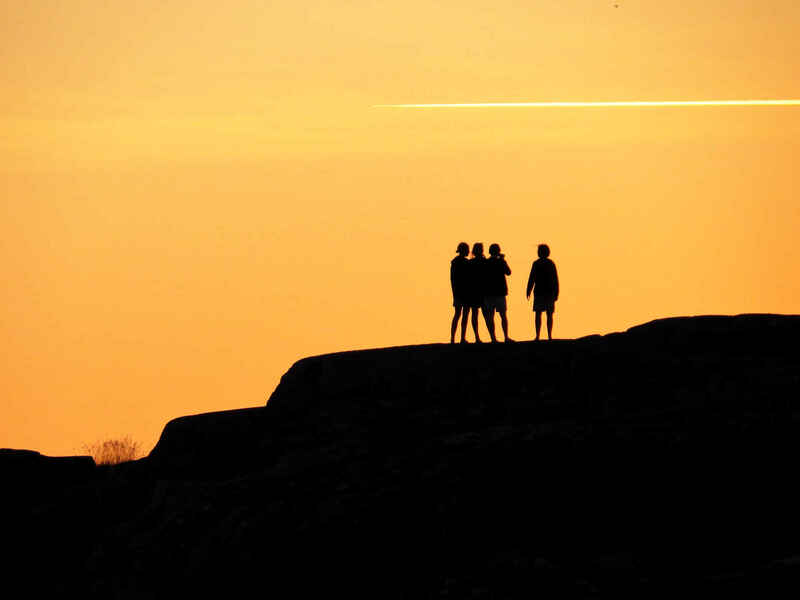 The sunset silhouettes of four people on a headland watching the sun set as the contrail of a passing jet cuts across the sky. Mrs SC and I were on holiday close to home. We were staying in a hotel on Hönö, one of the islands of Gothenburg’s northern archipelago. It was a short holiday – a long weekend – but it was fine weather and we spent the days sea bathing and sunbathing (she) or watching out for stinging jelly fish, hiding from the sun and taking photographs (he). Later on, when I was planning to self-publish a book of my Gothenburg photos, this was the photo I thought I’d use for the cover. The project came to nothing because I couldn’t raise the cash I needed to make it work. I promised then I would come back with Plan B. But there was no Plan B – and then we moved to Brussels for three years. However, I am tentatively feeling my way back to the idea. These Photos of the Week, which all come from my archive of Gothenburg photos, are a part of that. Watch this space!